Usually, when people think of biking, they think about getting from point a to point b in a very fun way. Believe me, biking is a lot of fun. You get to enjoy the great outdoors, you hang out with your friends and, most importantly, you get a nice workout in a fairly low intensive way. After all, which would you rather do? Would you rather run and put quite a bit of punishment on your joints? Or would you rather bike? The answer should be quite obvious. 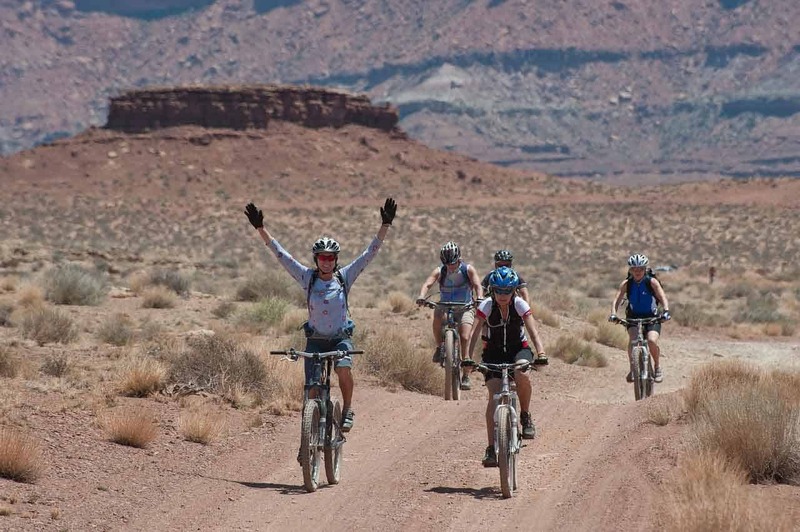 You can cover quite a bit of a distance with biking before you feel any kind of discomfort or pain. This is not the case with running or jogging. With that said, biking actually delivers a lot more benefits than a simple physical workout. Don’t get me wrong, physical workout can be tremendous. Since biking enables you to comfortably cover a longer distance than running, the amount of calories that you can burn biking can be quite higher because you don’t feel as stressed or pressured as you would if you were to run that same distance. You also take a lot of shallow breaths repeatedly. This can go a long way in working out your lungs, which can lead to much better cardiovascular health. If you bike long and consistently enough, you can see those pesky extra pounds go away. What’s not to love? Well, it turns out that biking actually delivers a lot more to the table besides physical benefits. It also enables you to tap into the power of momentum. Momentum is crucial for any kind of success in your life. Unfortunately, most people experience momentum on a fairly random basis. They’re doing other things, they have their minds set on other objectives and, sooner or later, momentum enters the picture. While it is definitely a welcome development, most people don’t make it their objective. The great news about biking is that it can teach you quite a bit about momentum. In fact, it can enable you to tap momentum’s power so you can achieve much greater success in all other areas of your life. Put simply, if you want to take your life to the next level, you might want to consider biking because it can help you achieve momentum sooner rather than later. Here are just some lessons biking can teach you about momentum. The great thing about biking is that you don’t have to necessarily bike a distance equal to the Tour de France for you to benefit from biking. You can start small. You can just bike around the block or half a block, it doesn’t really matter. What matters is that you get on your bike and you do it. This is the first step towards momentum. You have to understand that momentum is not going to take care of itself. Momentum is not going to appear out of thin air like magic. You have to start somewhere. That is the first building block of momentum. The great news is, biking enables you to do this fairly easily. As mentioned above, biking enables you to cover quite a bit of a distance without feeling a tremendous amount of discomfort, pain or pressure. There is fairly little mental pressure involved. You just pump the pedals, you take a look at your surroundings, you take in the great outdoors, and you pump the pedal some more. Soon enough, it turns out that you actually have gone quite a bit of a distance. This relatively low stress factor is the reason why people prefer biking over other higher impact and more intensive workouts like running or jogging or any other kind of intensive cardiovascular activity. I know that “love” is kind of a big word when it comes to anything strenuous or potentially stressful things like physical exercise, but the great thing about biking is that there a lot of things going on besides you pumping pedals. You are also taking a look at your surroundings, you’re taking in the views, you are experiencing pretty much a three dimensional vista that engages all five senses. A lot of bikers, whether amateur, intermediate or professional, use the word “love” for this activity. I can see where they’re coming from because you experience a tremendous amount of freedom. You’re not just going from point a to point b in a fairly short period of time. Instead, your senses are being fed all sorts of sights, sounds, smells and tastes. You’re not just running on a treadmill listening to music. Instead, you are feeling the road, you are enjoying the company of others, you’re viewing other people and groups. There are a lot of things going on. It’s not uncommon to feel so much more alive when you are biking and this puts you into a zone. Sooner or later, once you enter that zone it turns out that you have covered a tremendous distance, and it didn’t feel like it. So what is the secret to momentum? Momentum really is the point where stopping an activity actually takes a lot more willpower and energy than starting it. You know that you’re on to something when you reach this point. You know that you can go the distance when you reach this point. The great thing about biking is that since you eventually fall in love with it, it gets harder and harder for you to stop. The moment you decide to give yourself some time on the weekend to go biking with your friends and family, it feels like quite a bit of a letdown to eventually stop because you’re going onto other things. At this point, you’re looking to try to pack as much activity and fun into the time that you allocated for biking. Another important lesson biking can teach you about the power of momentum is that once you have reached a point where things are easy, this is exactly the point where you can choose to scale up. Put simply, once you have overcome your mental reservations about an activity and you have learned how to get used to it and do better at it, eventually, you can take things to another level as far as intensity is concerned. the natural progression of what you’ve been doing before. This is a very important lesson biking can teach you because scaling up in whatever area of life should be like this. Usually, people try to scale up when they’re feeling challenged, pressured or they’re intimidated by the task. Not surprisingly, they fail when they scale up. I’m not saying that they don’t eventually succeed, but believe me, the first few times they try to do it, they get so intimidated that they fail. What’s important to note here is that the intimidation or the perception of difficulty is really all in your head. So do yourself a big favor and get on that bike and have a good time. The more you fall in love with biking, the more you will learn about one of the most important concepts in life: the power of momentum.